"Don't like my offer, you're welcome to try somewhere else." Warner Bros has unveiled another new promo short film for Blade Runner 2049, a prequel this time set one year before the new movie takes place. 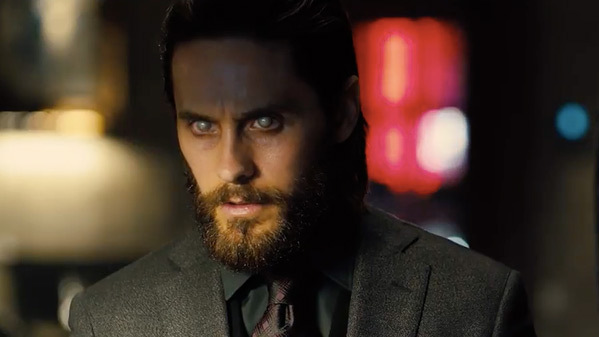 A few weeks ago, they unveiled a short titled "2036: Nexus Dawn" featuring Jared Leto's character Niander Wallace talking about manufacturing replicants again. This next new short film is titled "2048: Nowhere To Run" and features Dave Bautista as an outlaw replicant named Sapper. He goes out into the streets of Los Angeles 2048 to sell some replicant leeches, but he loses control when he sees a mother and her child being threatened. I love these short film promos, they're exciting and the perfect way to bring us all back to this world. In the intro, Denis Villeneuve mentions there's three of these short films, so there's one more to come after this one. And only a few more weeks left until this hits theaters. For now - watch below & enjoy.